The Epsilonian Empire Epsilonian Empire is a nation led by Warlord Freyja Daedndras on the continent of North America. The Epsilonian Empire Epsilonian Empire's government is a Constitutional Monarchy with very liberal social policies. Economically, The Epsilonian Empire Epsilonian Empire favors left wing policies. The official currency of The Epsilonian Empire Epsilonian Empire is the Dollar. At 242 days old, The Epsilonian Empire Epsilonian Empire is an old nation. The Epsilonian Empire Epsilonian Empire has a population of 452,143 and a land area of 5,100.00 sq. miles. This gives it a national average population density of 88.66. Pollution in the nation is everywhere. The citizens' faith in the government is completely depleted with an approval rating of 0%. 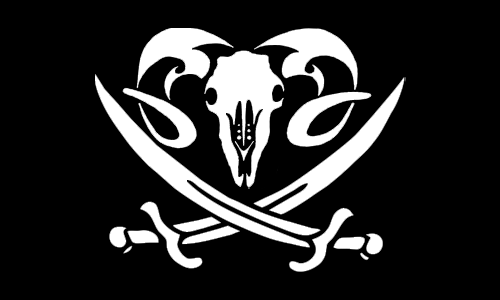 We Are Warriors, Pirates and Raiders, our strength is that of many, we claim those who aid us among our own, and destroy those that oppose us without remorse, we are strong, and while few in number, to be feared. 04/19 11:48 am - Epsilonian Empire had war declared by Dryad for the reason of "All your base are belong to us". 04/14 12:56 am - Epsilonian Empire had war declared by Dryad for the reason of "Hasta la vista, baby!". 04/09 09:27 am - Epsilonian Empire had war declared by NotVeryGoodNation for the reason of "Yo how about that money". 02/26 08:21 pm - Epsilonian Empire had war declared by Black Sail Confederation for the reason of "We like taking candy from babies". 02/15 06:34 pm - Epsilonian Empire had war declared by Ahraban for the reason of "You brought this on yourself". This nation has not constructed any National Projects.